We require 48 hours notice for renewal of prescriptions. Please note: routine refills are not available nights, weekends and holidays. Prescriptions for narcotics will be electronically sent to your pharmacy. We also offer a convenient in-office dispensing service (see below). 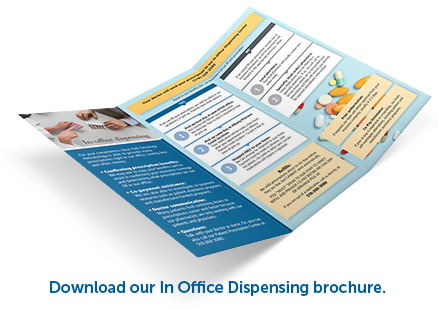 Now, you don’t have to make a separate trip to the pharmacy for prescriptions ordered by your physician. For your convenience, NYOH can fill many prescriptions right here at our offices. 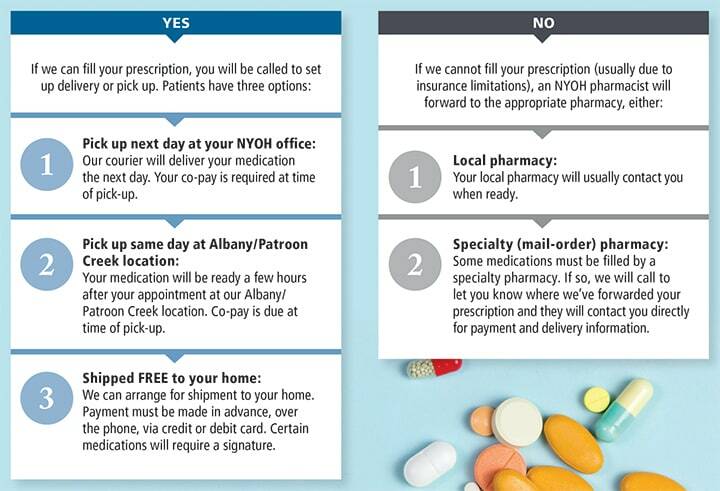 Just pick up at the location where you see your doctor—or, the medications may also be delivered directly to your home.